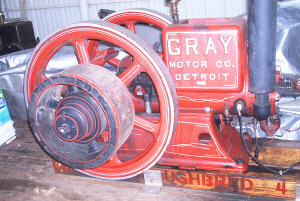 I have a 4 hp GRAY thoroughbred. It runs really smooth and so slow! Maybe someone will know the year? That's one fine looking GRAY engine Dwayne! It has a nifty looking pully mounted on it!